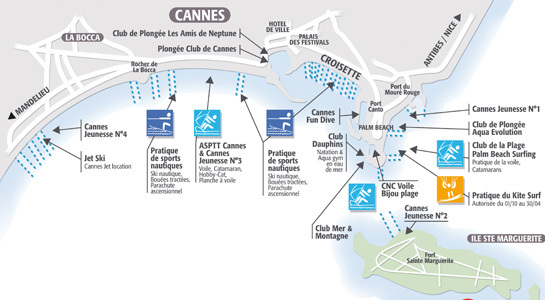 In the summer, the pontoons on La Croisette, Boulevard Jean Hibert and the ‘Plages du Midi’ are centres for towed water sports. Pontoon operators will be delighted to arrange an outing whether you are an experienced water skier, a beginner or if you would like to try parasailing, wakeboarding, etc. Most of the pontoons operate on weekends in June and September from 10 am to 6 pm and every day in the summer from 10 am until around 7 pm. ALGUE, a 12.80m Bermudian Cutter from 1948, is now based in the Old Port of Cannes and will be available for skippered day sailing from April until October. Yacht charter, sailing, XXL catamaran. 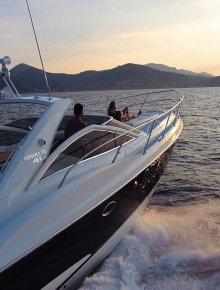 Specialist in yachting activity since 2003 we provide a wide range of services for private and corporate events. COLUMBUS YACHT is an independent yacht charter company specialized in crewed private yacht charters and the organization of corporate events.